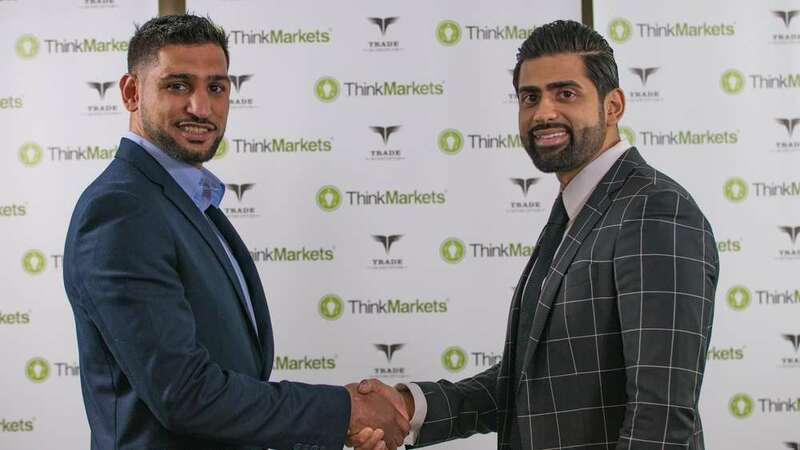 Amir Khan has joined forces with London-based online financial trading broker ThinkMarkets in a bid to help young children get off the streets by using financial education and the power of boxing. The world’s financial capital has been plagued by a recent surge in violent crime and ThinkMarkets wants to make a difference. The aim of the sponsorship is clear; to support 100 young-individuals from disadvantaged background/ families to gain a career in the City by 2022. Whether it is in marketing, Compliance, IT or financial trading, ThinkMarkets believes that the City is open to numerous opportunities and skill sets, London should be recognised as the capital of business and commerce, as opposed to violence and murder. Khan has a long history of helping charitable causes around the world and set up his own Foundation in 2014, something that attracted ThinkMarkets to working with the former Olympic silver medallist. Commenting about the partnership, Amir Khan said; “Sport has a unique power to influence people from all walks of life and I have been committed to helping underprivileged individuals throughout my career. ThinkMarkets aims to teach youngsters the importance of mental discipline and provide them with key skills to help them achieve their goals. Furthermore, ThinkMarkets is keen to bridge the gap that prevents young Londoners from gaining access to the world’s financial capital. Among its proposed initiatives, are a series of masterclasses that aim to educate both beginners and advanced traders on useful strategies that can applied to make better and more informed trading decisions, taught by leading City-based trading professionals, combining these with Amir Khan’s secrets to success in the ring. Khan, a former world champion, marked his return to professional boxing by knocking out Phil Lo Greco within 40 seconds in April, and the 31-year-old is back in action on Saturday against Colombian welterweight Samuel Vargas. ThinkMarkets has been a keen advocate of financial literacy and empowerment through education, the award-winning broker has been supporting educational needs for students at several British universities including the London School of Economics’ Student Union Trading Society and Coventry University to name a few, thus providing the practical tools needed to have a successful career in banking & finance.